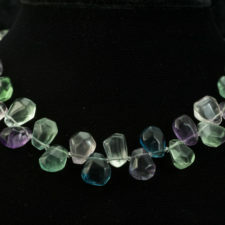 I love this fluorite faceted nuggets necklace. 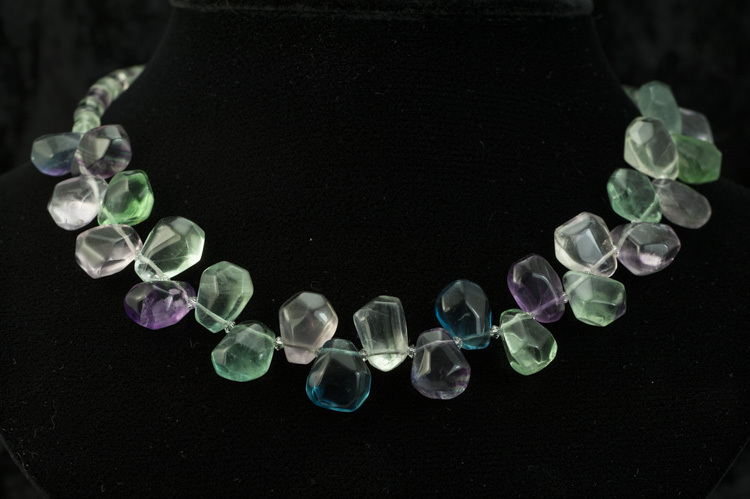 Fluorite comes in many colors and hues – greens, purple, lilac, clear, and more. 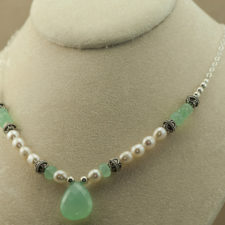 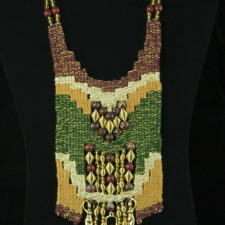 Many of these colors are included in this necklace. 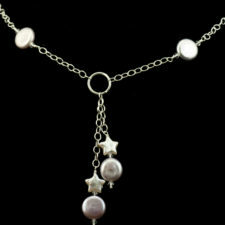 The necklace closes with an elaborate sterling silver flower toggle. All the multicolor nuggets have slightly different shapes. 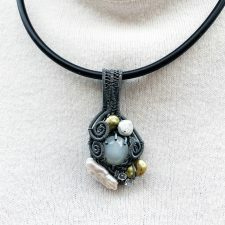 I think this makes the necklace more interesting. 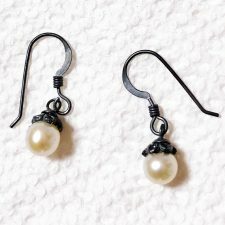 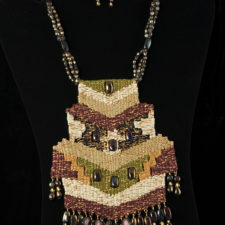 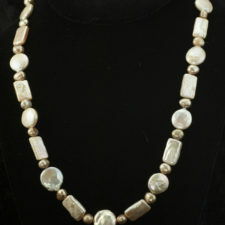 The overall necklace length is 18 inches. 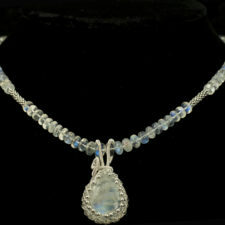 The nuggets are separated by clear Swarovski crystals.